Rugby fans worldwide already know the secrets to getting the best Autumn Internationals tickets – OnlineTicketExpress.com of course! The Autumn Internationals, made up of the Six Nations rugby union series games, make up an annual rugby tournament played between England, France, Ireland, Italy, Scotland and Wales; and the Tri-Nations games, played between South Africa, Australia and New Zealand in the autumn season – hence the name. Getting the best deal on Autumn Internationals tickets may seem impossible, but not if you use OnlineTicketExpress.com. As the world's leading online ticket provider, we guarantee that when you use our services to buy Autumn Internationals tickets you get top-dollar value. The right deal for you is a click away. Buy Autumn Internationals tickets today! 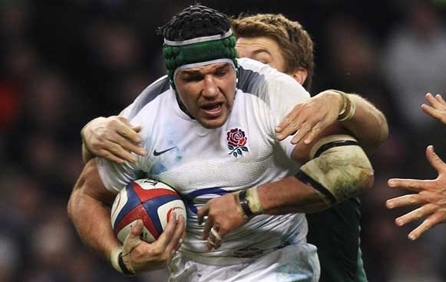 Get Excellent Official Autumn Internationals Tickets. We will deliver your Autumn Internationals Tickets to your home or Hotel. Fulfill Your Dream of watching Autumn Internationals live. We’re sorry, Autumn Internationals tickets are currently not available. Sign up for a Autumn Internationals tickets alert and we will let you know as soon as we have tickets available for sale. Please enter your email below for a Autumn Internationals updates! * You will receive Autumn Internationals email alert immediately once the tickets you're looking for become available. * Don’t Miss out the Autumn Internationals event.